This cable is resilient and flexible enough for general, indoor use. 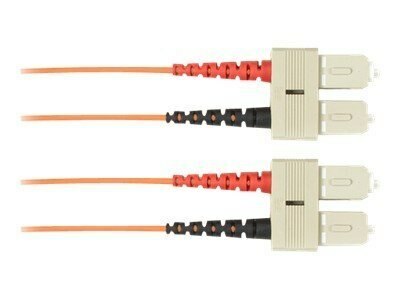 It's ideal for jumper, patch cord, and pigtail applications. Make routing connections in your patching systems. Connect your main fiber cable to your network equipment. This cable does it all! You get reliable performance, too. A tight-buffer coating on each optical fiber protects it against environmental and mechanical hazards. The cable meets all appropriate fiber standards and is UL Listed.